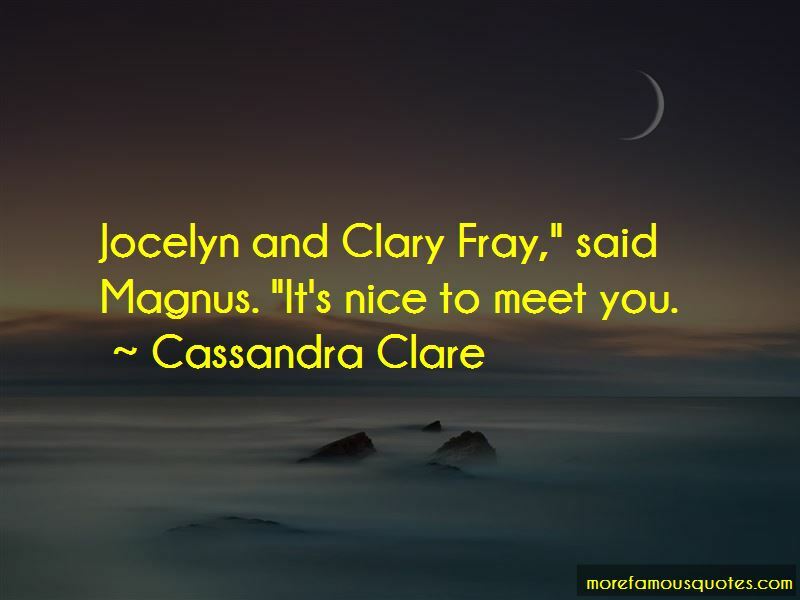 Enjoy reading and share 6 famous quotes about Jocelyn And Clary with everyone. “No. I wanted to tell you that I was proud of you." Clary slewed around to look at her mother. "You were?" Jocelyn nodded. "Of course I was. The way you stood up in front of the Clave like that. The way you showed them what you could do. You made them look at you and see the person they loved most in the world, didn't you?" "Yeah," Clary said. "How did you know?" 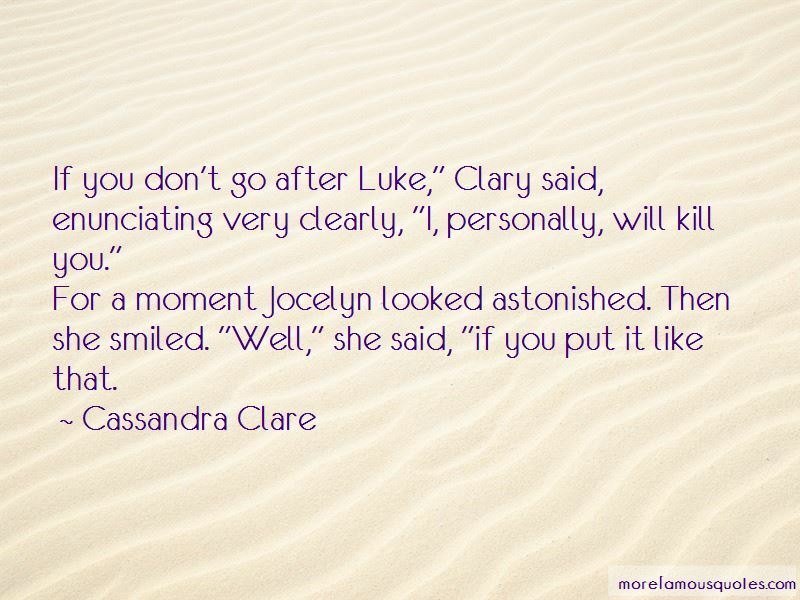 “If you don't go after Luke," Clary said, enunciating very clearly, "I, personally, will kill you." 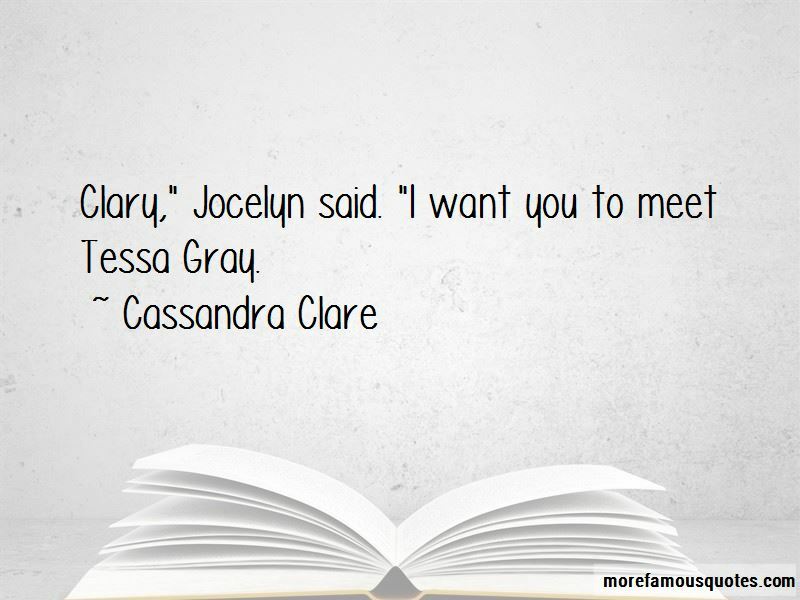 Want to see more pictures of Jocelyn And Clary quotes? 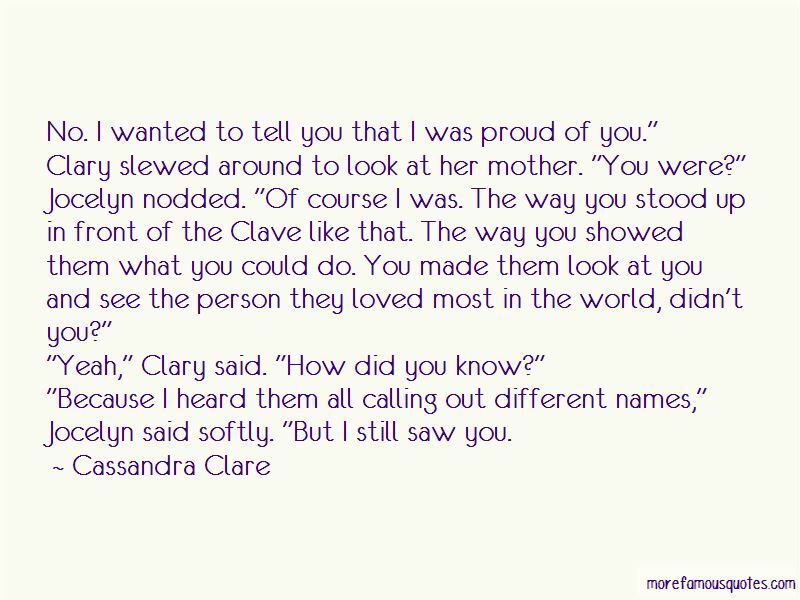 Click on image of Jocelyn And Clary quotes to view full size.